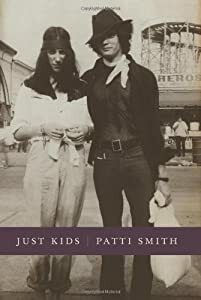 My friend, J, recently lent me her copy of Patti Smith's Just Kids, her memoir of her relationship with Robert Mapplethorpe--the story of their love and life as artists and of finding their way through the fringes and upper echelons of New York City together. I'm not being a bad patron of the arts and the artists who create so diligently with fever and pitch, love, hate, and remorse, joy and vitality. These bringers of an enriched reality who soak themselves through with blood, sweat, and tears to do the work they are compelled to do for themselves and for us, this throb of creation that they long for the world to see. Don't worry, Patti. Not only am I ordering my own copy of Just Kids today, but I'm also sending one to each of my daughters. It's important for them to read this record of your and Robert's life as artists growing up together and of this transforming crack of time in New York when young women and men came to our greatest American city and soared like eagles in the sky before flying too close to the sun, burning their wings, and falling to the earth dying or dead. A generation of genius lost...not forgotten. Your Robert also reminds me of my brother Brent in some ways. Your support and love of Robert describes my devotion to Brent and the loss I still feel though he has been gone for almost 20 years now. I wish that Brent and I could have believed in ourselves as much as you and Robert did. Like Robert, Brent watched acquaintances and friends suffer and die from the ravages of AIDS before he was also a genius taken. Like you, I could not save him. We all watched with sorrow as a whole community of generous humanity and artistic talent was lost. We must never forget them. So Patti, thank you for writing this book that tells all our stories in some ways--of the dear ones we lost and those of us who survived to live and create another day. And thanks to Robert for being the man and artist that he was, for being your Blue Star. Patti Smith will be performing in Paris at the 2010 Peace One Day Celebration (with the participation of Jude Law and Sharon Stone) on September 17th at Le Zenith. To order tickets, click here. 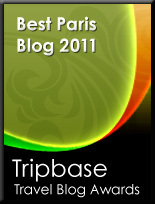 For more information on Peace One Day, click here. Patti Smith will also be performing in Paris at the Cité de la musique and the Salle Pleyel from January 17th - 22nd, 2011. For more information, click here and here. To purchase Just Kids, click here. Unless otherwise indicated, photos by Beth Arnold using her iPhone.